G.O Automobiles Pvt. 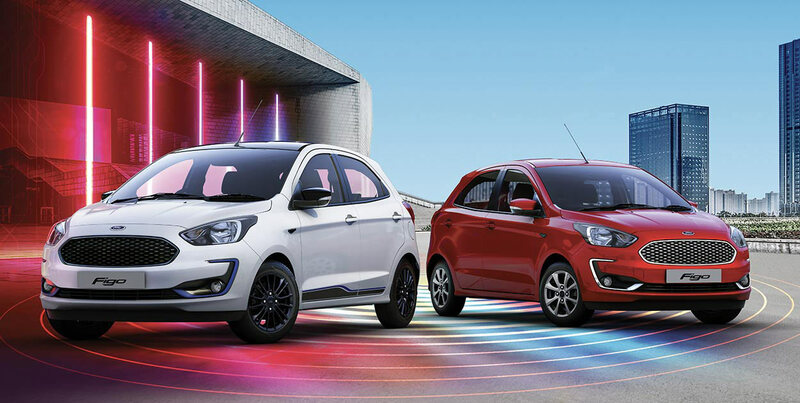 Ltd., the authorized dealer of Ford vehicles in Nepal has launched the all-new Ford Figo 2019 at the introductory price of Rs. 24.99 lakh. The new facelifted Figo host a lot of changes outside as well as inside to make it a completely new car. The Figo comes in seven variants of Ambient, Titanium and Titanium BLU. As for now, the company has decided to launch only Ambient and Titanium variants which consist of both petrol and diesel engine. 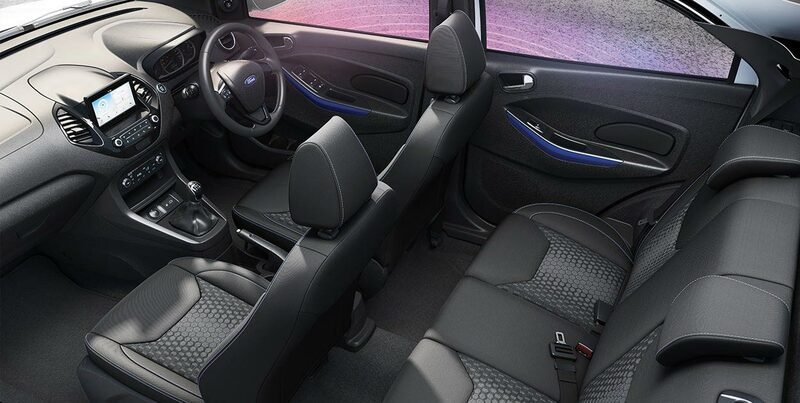 The new Figo somehow retains the exterior from Ford’s own Freestyle. In the front, it gets the new chrome grill, re-designed headlamps, and bumpers. 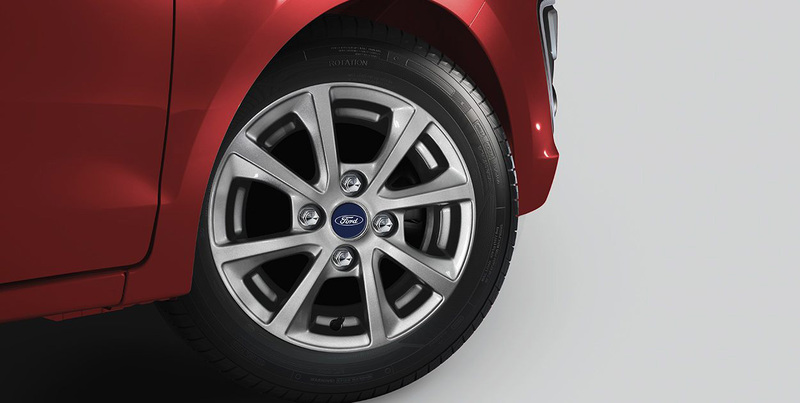 It gets the 14″ alloy wheels which give the best in segment ground clearance of 174mm. And the rear of the vehicle also gets treated with the re-designed bumper. All these changes make the hatchback look sportier than ever. However, these changes are limited to the base version as the top end version — the Titanium BLU gets special treatment of all blacked out front grills and 15″ alloy wheels, dual tone treatment, and some blue highlights on the outside as well as inside. The basic layout of the dashboard has not changed but it receives all new elements. It features a new seven-inch touch screen infotainment system that comes with built-in-navigation but misses out on the Android Auto and Apple Car Play. Apart from that, it gets the push start/stop the engine, automatic AC with climate control, automatic headlamps, and rain sensing wipers. However, on the rear, it misses out on the a/c vents. It offers a boot space of 257l. The Figo gets a new 1.2-liter dragon series engine borrowed from the Freestyle and the new Aspire. The engine is a 3-cylinder unit making 96PS of max power @ 6500 RPM and 120Nm of peak torque @ 4250 RPM mated to a new 5-speed transmission. The 1.5-liter TDCi diesel engine makes 100PS and 215Nm of torque. The automatic variant is available only with a petrol engine which is powered by a 1.5-liter engine mated to a 6-speed AT that makes 126ps of power @ 6500 RPM and 150 NM of torque @ 4500 RPM which makes it the most powerful hatchback available in the market. 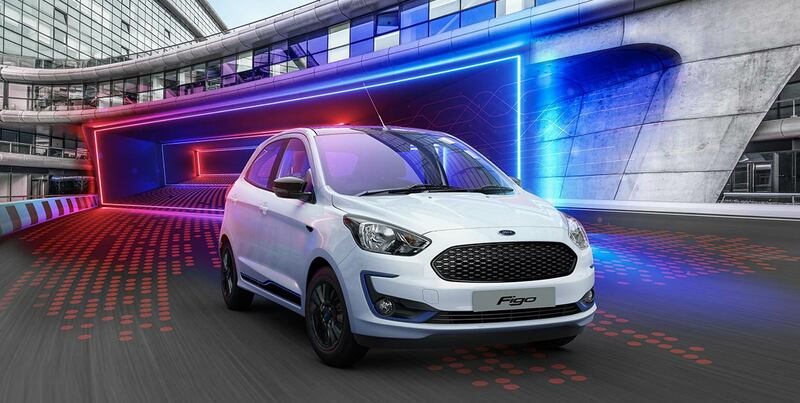 The Ford also claims that the new Figo comes with five years of warranty. The new Figo gets the dual airbags as standard but the top variant gets six airbags. It also gets ABS with EBD, Day/Night IRVM, and parking sensor. The BLU variant gets an Electronic Stability Program, traction control, and hill launch assist. An auto enthusiasts, Pranish is a new entrant in the E-Nepsters Team. Blogging and researching about Bikes and Cars, he fantasizes about riding the shiny new Lamborghini Aventador.